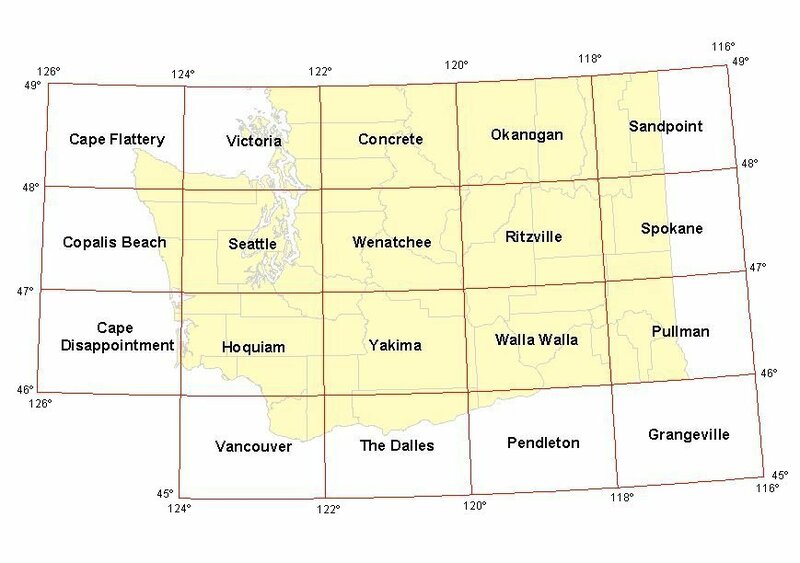 The is the first web site to offer complete orthophoto coverage for the state of Washington. Now it is old, and many users would prefer to get their photos, including mosaics of these, from other sources such as GoogleEarth. File sizes can be large, especially among those of us who spurn lossy compression. As of October 30, 2002, all DOQs and DOQQs are beautifully indexed. We also have some Oregon orthophotos. They are not shown on the map, but can be found in the Washington tables, or in Baker and Canyon City. The three lost CDs have been replaced, and the files put on line in their proper places. download index map of quarter quads as arc/info .e00 export file. Here are the hdr (and stx files and bil links) you need to read the old DOQQ files on the first batch of cdroms.